It is a rare event at a press conference that a speaker is applauded, as the former Belgian Prime Minister Guy Verhofstaadt pointed out. The applause was for Ruslana Lyzhychko, winner of the 2004 Eurovision Song Contest speaking in the European Parliament in Strasbourg on Tuesday. Ruslana was witness to the events of the previous weeks in Maidan Square in Kiev. She was meters away from exploding grenades. She said, in Ukraine many people cry because so many died and that they should not have died for nothing. They fought to get a new system, they wanted their money not to be stolen, they fought for European integration. 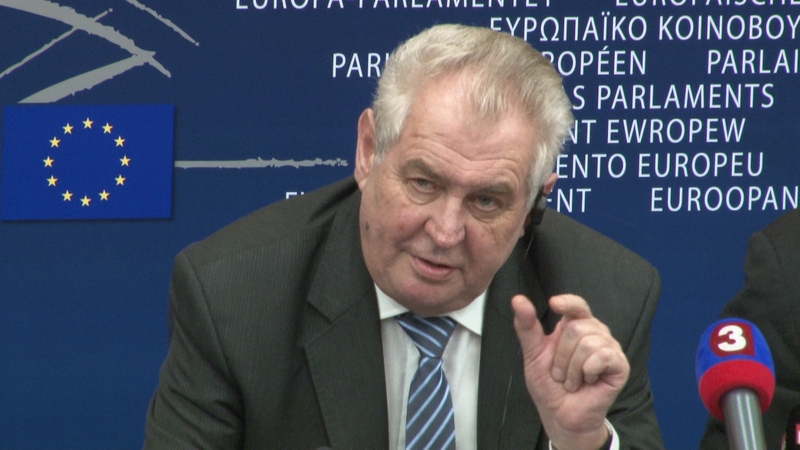 Milos Zeman, the President of the Czech Republic made a speech to the European Parliament plenary in Strasbourg on 26th February. He positioned himself as ‘a strong supporter of the euro’ and said that the Czech Republic should adopt the euro as soon as possible. In a press conference after the speech, he said this could be achieved in a period of between 2 to 5 years. President Zeman spoke in favour of the harmonisation of social and environmental issues and taxation across Europe which he said was opposed by some business groups. Whilst speaking of common European rules, he referred to Henry Kissinger’s supposed remark ‘What is the phone number of Europe?’ He also emphasized the importance of tackling the high unemployment rate in Europe. 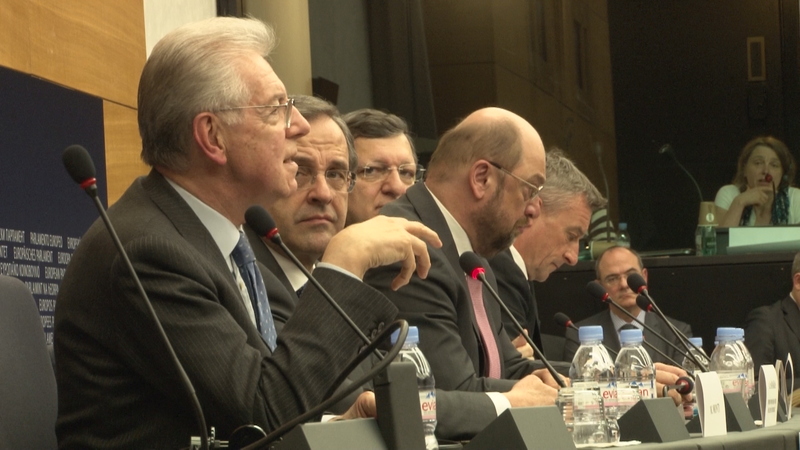 A Joint press conference took place on 25th February with Martin Schulz, European Parliament President, Antonis Samaras, Greek Prime Minister, José Manuel Barroso, President of the European Commission, and Mario Monti, the former Italian Prime Minister. The objective was to set up a high-level group to study new and simpler ways to finance the European Union budget. Mario Monti accepted to be the chairman of the group. The Commissions proposals include a financial transaction tax and the simplification of the politically sensitive issue of rebate mechanisms for Member States.